House Oversight Chairman Darrell Issa released the Secretary of State from a subpoena to testify before a committee investigating the 2012 attacks in Benghazi, Libya, alleging Kerry was attempting to “distract” from the panel’s work. 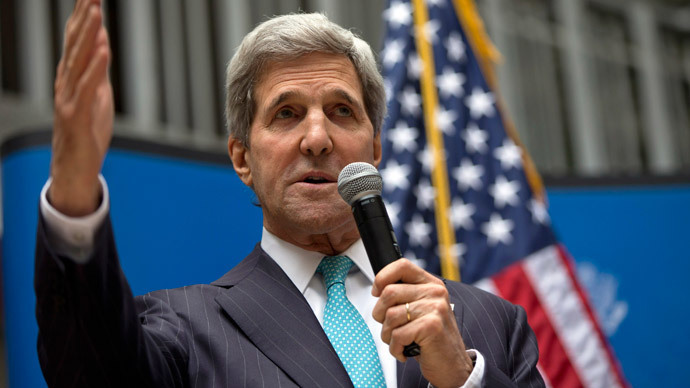 Rep. Issa, (R-Calif.), said Kerry agreed to appear before the Oversight and Government Reform panel on June 12 as a means to avoid testifying before a later scheduled Select Committee panel. The congressional committees have been called to investigate the September 11, 2012 attack on the US diplomatic mission, which led to the death of four Americans, including US Ambassador to Libya J. Christopher Stevens. Issa said he was forced to release Kerry from testifying. "It’s been disappointing to watch a long serving former senator, like Secretary Kerry, squirm his way to what I’m doing today - releasing him from the upcoming hearing commitment he made only after we issued him a subpoena," Issa said in a statement. In the aftermath of the tragedy, Republicans were anxious to label the event a terrorist attack, with possible connections to Al-Qaeda, while the Obama administration explained the assault as a spontaneous reaction to an anti-Islam film, Innocence of Muslims, which cast the Prophet Muhammad in an unfavorable light. 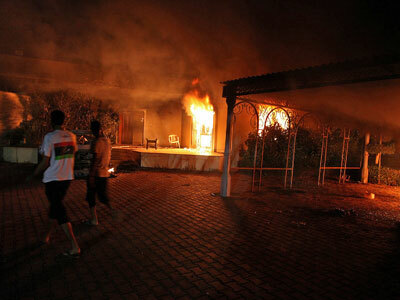 Republicans believe that President Barack Obama’s administration hushed up details of the Benghazi tragedy to protect his re-election campaign. Democrats accuse the Republicans of spinning the investigation to score political points ahead of the November mid-term elections. The game of partisan politics, meanwhile, continues as the Republicans accuse the Democrats of stonewalling a proper investigation into the events of the attack, which include the release of communications and other documents related to the event. “In attempting to cover up documents like the September-14 email from Deputy National Security Advisor Ben Rhodes, President Obama, Secretary Kerry, and other officials have no one but themselves to blame for the increased scrutiny they should soon expect,” Issa said. The Republican from California had twice subpoenaed Kerry to testify about emails and other files that the Obama administration had released to congressional investigators. Kerry told the Oversight committee he would be willing to testify in June, and Issa agreed. 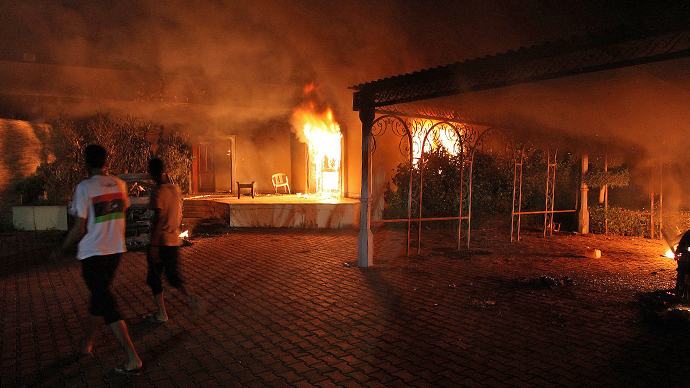 Later, White House officials explained that if Kerry testified before the House Oversight committee, there would be no need for him to appear before the Select Committee, which promises to be a more active investigation into the actions of the Obama administration before, during and after the Benghazi attack. 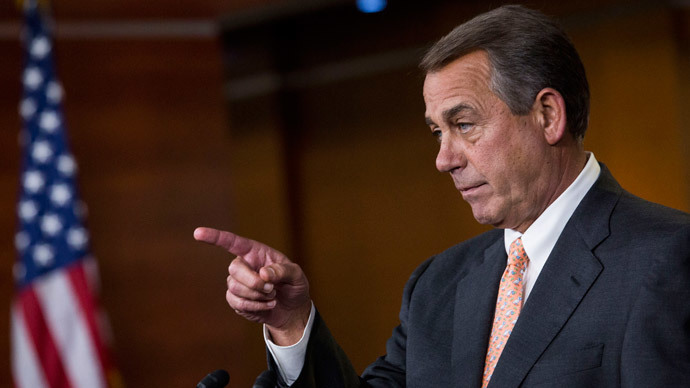 "While Speaker [John] Boehner and I had both originally concluded that Secretary Kerry needed to promptly testify and explain why his department had withheld subpoenaed documents, neither of us immediately recognized how opponents of congressional oversight would use this as an opportunity to distract from the select committee's effort," Issa said. Issa expressed frustration with Obama’s officials, charging them with attempting to “distract” from the investigative work of the committee. “Seeing Secretary Kerry and others, who have worked to obstruct critical oversight of Congress’ investigations into Benghazi, attempt to use the upcoming June-12 hearing as a shield against the Select Committee tells me it’s time to reassess,” Issa said. Issa seemed ready to pass the baton to the Select Committee, headed by Rep. Trey Gowdy, R-S.C., which was opened following the investigative work of the Oversight panel.